Brazil are the most successful team in World Cup history and are the only team to have played in every tournament, never needing a play-off to qualify. How they qualified: Brazil achieved the impressive feat of booking an early ticket to Russia despite the strength of the South American qualifying section and tough away games at high altitude. They sealed the deal with four games remaining via a 3-0 win at home to Paraguay with goals from Neymar Jr. and Philippe Coutinho. In the remaining fixtures, Tite took the chance to rotate his team and encouraged his players to fight for places at the main event. Adenor Leonardo Bachi, aka Tite, took over as Brazil coach in June 2016, at what was a critical time for probably the most iconic team in world football. Humiliated at the World Cup two years earlier, Seleção lay outside the qualification places. However, Tite engineered a remarkable turnaround as Brazil became the first team to qualify for Russia. The overall impression is that Tite is a good man, someone you can trust, a man you would want to play for. He is loyal to his players, but a lack of ruthlessness has cost him in the past, particularly during a second stint with Corinthians, and it could do so again in Russia. All eyes will be on Brazil’s talismanic captain in Russia as he looks to lead his country to a sixth world title. Neymar is well on his way to breaking Pele’s goal scoring record and will have a point to prove at Russia 2018 after his highly publicized transfer to PSG cost an eye-watering £220 million. 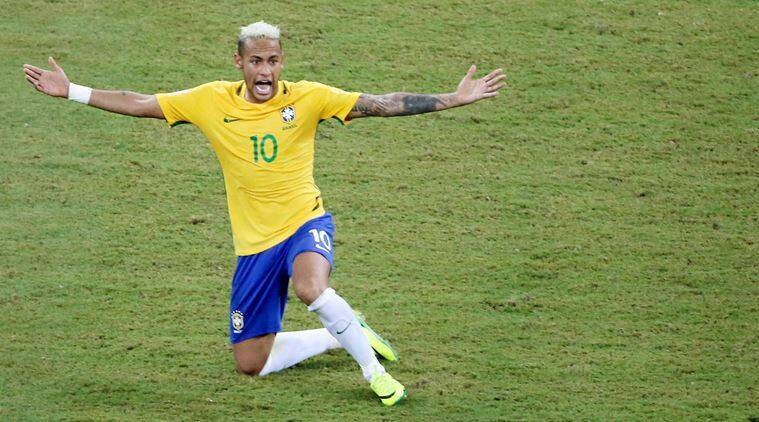 Neymar missed the 7-1 drubbing at the hands of eventual winners Germany through injury as Brazil were unceremoniously dumped out of the 2014 World Cup.